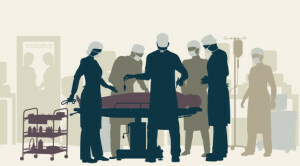 A medical malpractice case can be based on the failure of the healthcare worker to warn a patient of known risks of a procedure or a course of treatment. The law imposes upon physicians and other healthcare workers a duty to secure informed consent from a patient before going forward with a procedure or course of treatment. An Indiana medical malpractice attorney explains that if after being informed of the risks the patient would not have chosen to have the treatment or procedure, then the doctor would have committed medical malpractice if the patient is injured by the procedure in the manner that the doctor should have warned could happen. However, if the patient consents to the treatment or procedure after being warned of the risks, the doctor still may be liable for medical malpractice should the patient suffer injury during the treatment or procedure. A recent medical malpractice case demonstrates that a doctor cannot hide behind informed consent if he was negligent. Because most medical procedures and treatments involve some risk a doctor or other healthcare worker has a responsibility to let the patient know about such risk. This allows the patient to make a decision as to whether or not to undergo that procedure or course of treatment. Such consent it typically given by the patient in writing. However, in emergent cases where physicians must act immediately to save the patient’s life, the law allows them to do so without first obtaining informed consent. In 2004 Vickie Tatlock was admitted to Bloomington Hospital with a serious heart condition. Tatlock’s condition required a procedure called an angioplasty. There was no issue concerning informed consent, and Dr. James Faris performed the procedure. A known risk of angioplasty is that a coronary artery may be perforated. That is what happened to Tatlock. A perforation of a coronary artery increases the risk for cardiac tamponade, which is a dangerous condition that develops when too much fluid builds up in the sac in which the heart is enclosed, causing pressure on the heart. Thus, when an artery is perforated, the patient must be watched closely. Dr. Faris failed to watch Tatlock closely and instead tended to another patient. Furthermore, Dr. Faris did not request that another physician check in on Tatlock. Tatlock did suffer a cardiac tamponade, her condition steadily deteriorated, and she eventually died. Tatlock was just 49 years old. Tatlock’s husband and son sued Dr. Faris. The case finally came to verdict in October 2013 with the jury awarding the plaintiffs over $5 million in damages. In this case Tatlock consented to the angioplasty knowing that a perforated artery was a risk. However, when Tatlock did suffer the perforated artery, Dr. Faris and the hospital staff had a duty to follow accepted medical practice to treat the condition. Since Dr. Faris failed to do so he was liable for medical malpractice. The type of malpractice that Faris committed was not that he failed to warn Tatlock, but that in treating Tatlock Faris failed to meet the appropriate standard of care. While informed consent is indeed necessary to ensure that the patient understands the risks associated with a treatment or procedure and to protect the physician from legal liability, in reality is such consent given freely in cases where the alternative is the worsening of a condition or even death?